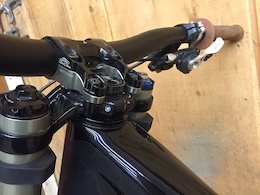 I have a 2014 Specialized S-Works Demo, Medium. 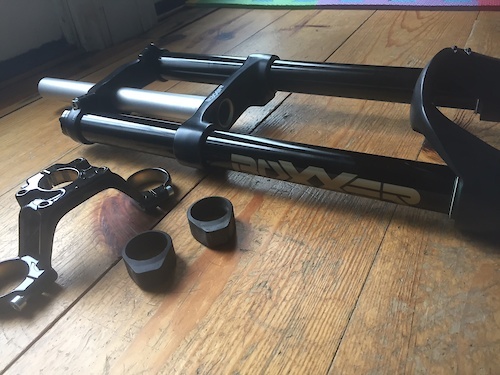 Bought frame brand new this year, has seen only one half season of bike park laps (Highland). 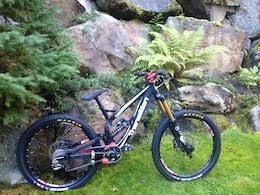 Has ridiculously nice Ohlins rear shock, 2014 boxxer World cup, works great recent service, very adjustable and light. Fr630 wheels on DT swiss 340 hub, minion dhf tires (rear skinwall has only a few rides on it) saint brakes and derailleur, gravity light cranks, vp flat pedals, e13 guide, chain and cassette one season old, trick XTR shifter, blackbox stevie smith 780mm bars, sensus grips, renthal 45mm direct mount stem, SDG carbon i beam seat. cranks and brakes are a few seasons old but work great everything else is less than a year old. bars have a couple scratches, cranks have normal wear marks, frame could still pass for new. Bike looks slick in all black and rides great. Very light. also have original specialized paper work and some spare pcs for frame. 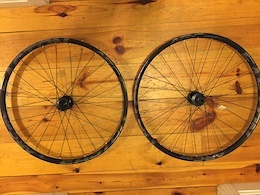 Would be prefer to sell locally I'm close to Highland Mountain Bike Park in Northfield NH, but I will ship inside the continental US if buyer pays shipping. thanks for looking! 2012 Transition TR250 frame size small, Includes the flip chips to adjust the frame geometry, Fox dhx rc4 rear shock fresh with 500# and 450# spring. Cane Creek tapered headset, Fox 36 Van RC2 180 also recent service. Deity Dirty Thirty bars and stem. 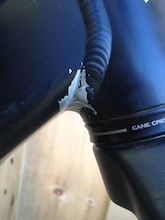 Two years ago I discovered a small crack at the bottom of the head tube and had it re gusseted by a local frame welder. Because of this I'm selling this frameset near the value of the parts and suspension. This bike has been great for me and if you don't mind the look of the repair it will make someone a really nice cheap bike. I accept Pay pal and will ship inside the continental US only. or can do local pick up in NH. if you have any questions let me know. thanks for looking.